Laura Tong is a soloist dancer with The Australian Ballet. 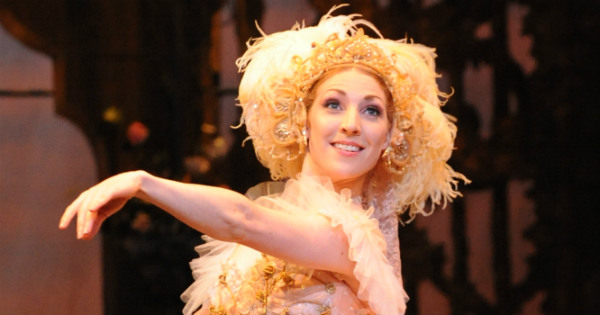 She combines a gruelling full-time rehearsal and performance schedule with being mum to three-year-old son Henry. Melbourne-based Tong, 32, started dancing at the age of four in her birthplace of Northland, New Zealand, after going along to her older sister’s ballet and piano lessons. She joined The Australian Ballet in 2004 and has toured New York, London, Tokyo, Paris, Athens and Shanghai. She and husband Tristan Message, ballet master and repetiteur with The Australian Ballet, now juggle their demanding jobs with parenting – which often means late nights and lengthy trips away from home, with toddler in tow. Just how does she manage it? 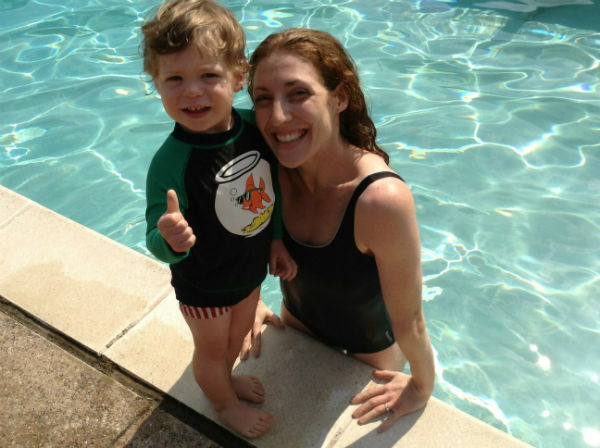 We asked the talented mum in the second of our special Secret Lives of Mums series. We get up at 7am and leave any time between 8.30am and 9.30am, depending on our schedule for the day. We are currently in season, performing Stanton Welch’s La Bayadere, and we’re about to start our Melbourne performance season of Sir Peter Wright’s The Nutcracker, so have a slightly later start time – but a later night too. Henry is a Weet-Bix kid and insists on crushing them into the bowl himself. Not the tidiest of breakfast rituals! Work/life balance as a dancer and parent is, I’m sure, similar in many ways to lots of working parents, but unique in other ways. The return-to-work process after the arrival of Henry involved a complete physical rehabilitation, helped by the wonderful medical team at The Australian Ballet and supported by the ballet’s parental policy, which was written with the unique challenges of “ballet mums” in mind. Being a dancer involves a substantial commitment in many areas of your life and we are lucky that Henry has been so accommodating – happily touring with us and adjusting to life on airplanes, away from home for weeks at a time, and with parents who are certainly not morning people! On the plus side, being a mum has allowed me to find more confidence in the inevitable ups and downs of a dance career – the occasional injury is disappointing but I always have someone delightful to spend my down time with – and I hope that Henry’s exposure to the arts from a young age will be the beginning of an appreciation of some of life’s wonderful cultural experiences. I don’t normally have too much trouble with sanity, but after a particularly difficult or stressful day I do enjoy to play the piano (I’m terrible but enjoy it enormously). Thankfully it doesn’t wake Henry! I try to stay calm and explain things as clearly as possible – I have noticed with Henry that there is usually a reason behind difficult behaviour such as tiredness, hunger, or frustration with himself or someone else. Once I have recognised the cause, the behaviour is normally easy to fix. Be as prepared as you can be but remain flexible – no child will fit in all of our expectations for what kind of parents we would like to be. It’s a learning process for everybody! Pouring milk into orange juice. The ability to never forget one of the hundreds of items that you seem to need when leaving the house with a little one. As I’m sure all working parents know, the combination of full-time work and children never leaves much time for other social events, but we have wonderful family and friends who understand that the quality of our relationships and friendships are more important than the frequency of our meetings! 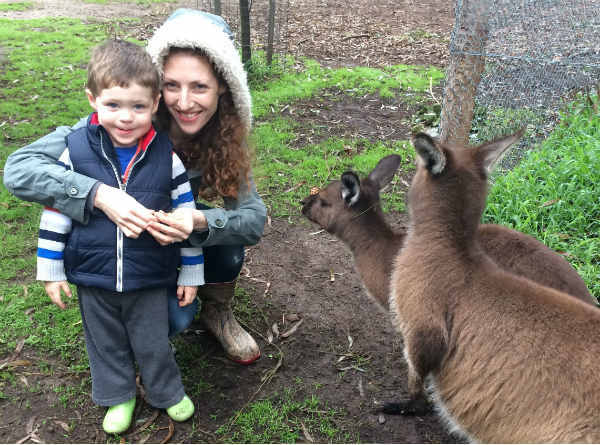 We are big fans of Zoos Victoria and visit Healesville Sanctuary regularly; Henry loves the kangaroos and the reptiles – he always wants to know which are the most dangerous. I haven’t told him that my character, Ajah, in La Bayadere plots the murder of heroine Nikiya by planting a venomous snake in her basket of flowers! We also enjoy gardening – and get plenty of help with mud pies – and cherish a quiet and cozy Sunday morning with books and jigsaws. What’s the one thing in your nappy bag you can’t do without? Travel sickness runs in the family so we never leave for a car trip without a stash of raw carrots, which seem to substantially lessen the chances of projectile vomit! Is your parenting style similar to that of your parents? I recognise lots of similarities between my Mum and I, as so many of the books and games that she enjoyed with my three sisters and I are the same ones that I now love sharing with Henry. Our families on both sides are incredibly supportive, caring for Henry during our often long working days, and even travelling with us on interstate tours for weeks at a time for our performance seasons in the Sydney Opera House and other Australian venues. Without their love and support I wouldn’t be able to dance professionally at this level in a company and industry that I have so much passion for. The Australian Ballet’s family friendly ballet season of The Nutcracker runs September 12-25 at the State Theatre, Arts Centre Melbourne.